How can I activate the 'Hotelinking' with Guestcentric? 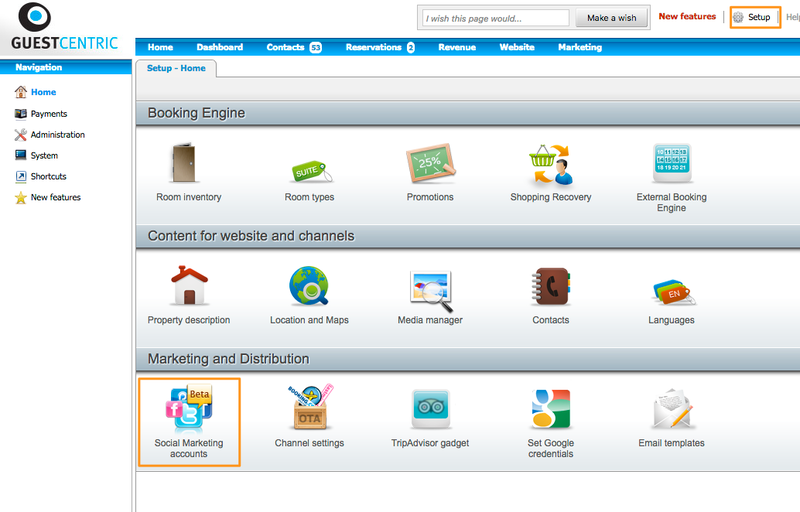 HOME > SOCIAL MEDIA AREA > How can I activate the "Hotelinking" with Guestcentric? Guestcentric offers to the hotelier the possibility to connect to Hotelinking.com, that helps hotels boost web traffic through social media guest referrals. STEP 1: First you need to create an account on Hotelinking. They will provide a GUID code which is necessary to activate the integration. STEP 2: Go to Setup and click on Social Marketing Account. 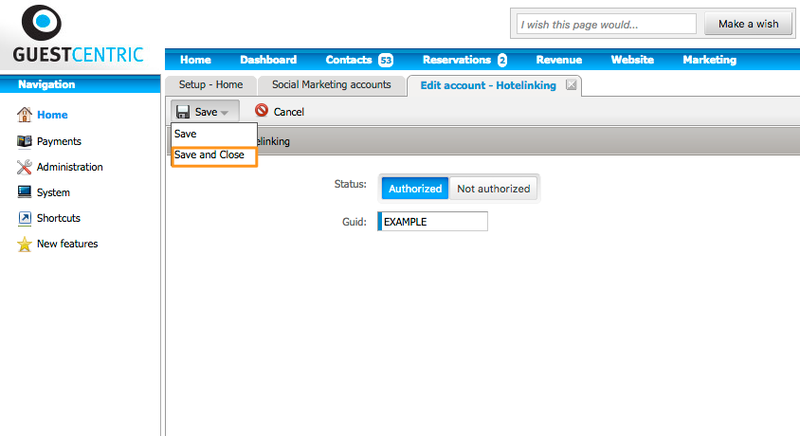 STEP 4: Enter the GUID code provided by Hotelinking and change the status to "Authorized". Select to exit. The Hotelinking is now "Authorized". For every reservation made, in the final screen of the booking engine it will be displayed a pop-up giving the possibility to share the reservation.